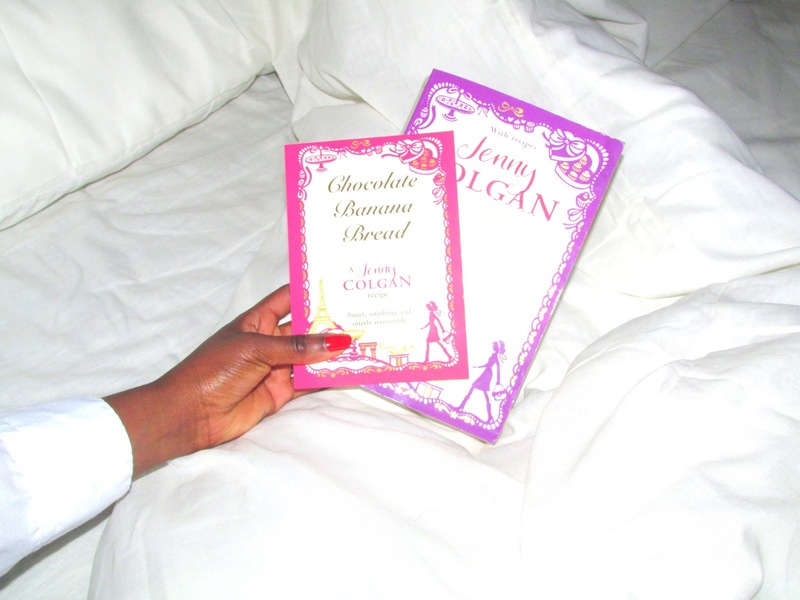 I have only recently become acquainted with Jenny Colgan's books, but have been pleasantly surprised by how well written "The lovliest chocolate shop in Paris" is. 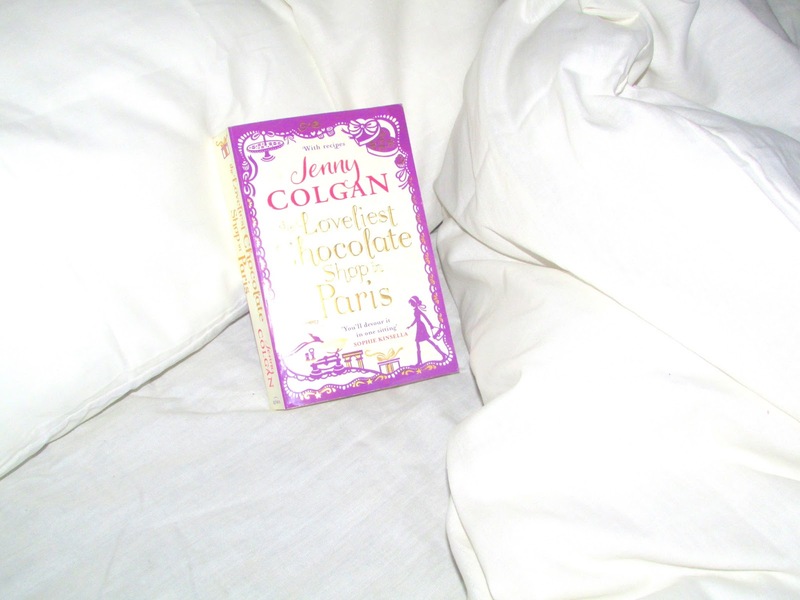 I was drawn to the book because it centers around my two most favourite things; or should I say every woman's two favourite things: Paris and Chocolate. However, this story start in a less than happy way, one you wouldn't expect. 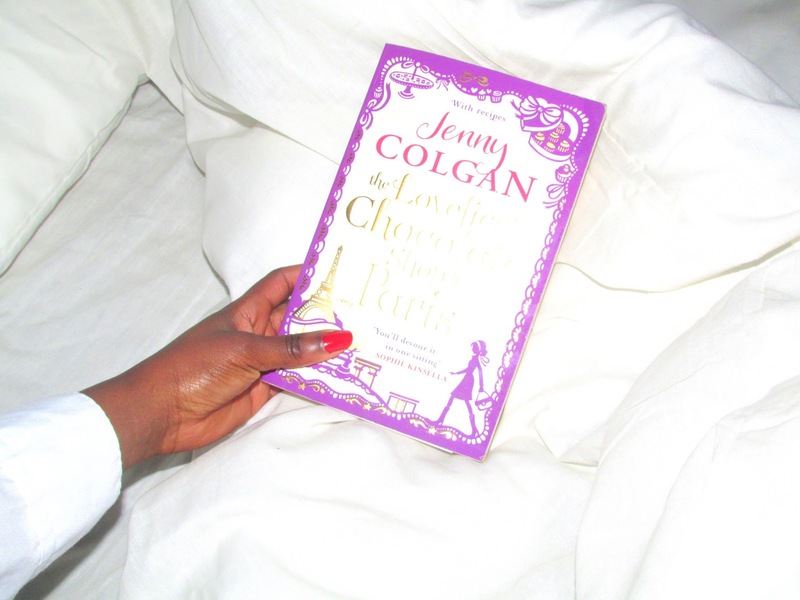 This is the story of two women who fall in love with Paris and were never the same again! Anna Trent has had a horrific accident in her place of work, a chocolate factory. After recovering in hospital, Anna is left jobless and depressed. While in hospital, her old French teacher, Claire Shawcross was moved into the bed next to her while undergoing chemotherapy. Both of these women are bored with being confined to a hospital bed so in order to pass time, Anna practices her French with Claire who gently corrects her and encourages her to improve just like the old days. Because Claire had once spent a memorable summer in Paris as a teenager; she comes up with a cunning plan to help Anna overcome her depression. Claire plans to help Anna restart her life by finding her a summer job with an old friend who has a chocolate shop in Paris. Starting a new life in a new country is difficult for anyone, and Anna suffers from low confidence when she arrives in Paris. Still suffering physically and emotionally from her accident, Anna meets Sami, a fun individual whose cure for sadness is having a good time. And when she starts work at Le Chapeau Chocolat de Thierry Girard, the staff are just as unyielding. Thierry, who happens to be Claire's old flame makes magnificent chocolates and has an amazing reputation because of this. These sublime chocolates couldn’t be further from the chocolates Anna used to make in the factory back home in England, and she is forced to learn and proceed at a fast pace with great enthusiasm. This is a wonderful book! If you are into reading as much as I am, you can easily picture the chocolate shop in Paris in your mind and how you can imagine drooling outside the shop seeing the chocolate..I loved how Claire & Thierry's relationship blossomed but came crashing down until they get to meet for one last time.This book is certainly one to treasure. Jenny also included a few chocolate centered recipes to try at home; my personal favourite being chocolate banana bread which I plan on making this weekend. Anna’s kindness makes her a very sweet, loveable character who has to been through a lot and has done so much to recover her confidence. "The lovliest chocolate shop in Paris" is a remarkable book with just the right amount of laughter, warmth, sadness and romance to keep you wanting more. The exact reason why it is worth a read. I'll be sure to keep you posted on how the chocolate banana bread turns out. Have a great weekend!